Forced to remain silent after being kidnapped by pirates, Christopher must find a way to save an innocent merchant ship's captain and his daughter from the evil grasp of Captain Redblade. Proving that friendship and family are worth fighting for no matter the costs. When her adoption was finalized Blakely Henry’s parents swore to never question the origin of her birth. But after Europe’s favorite monarchy is killed in a single act of terrorism questions arise. Max Ryder thinks he knows the truth. Sworn to secrecy, Max is admitted into an exchange program halfway around the world with the sole purpose of finding out if he’s right. When a stolen email surfaces, Blakely’s life is threatened and Max starts to question what he is really after. From the exclusive rolling lawns of Canada’s most prestigious boarding school to the University of Saint Andrews’ hallowed grounds, Hush weaves a tale of suspense and romance that is as addictive as any real-life royal scandal. Once Leigh and Calum are forced work together, sparks fly and no one around them, alive or dead, is left unaffected. 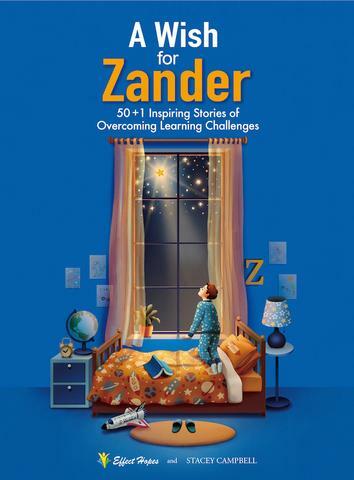 Bedtime stories written about real people who never let their learning challenge(s) stand in the way of dreaming big, aspiring more, and reaching for the stars. Each of the fifty stories in this book proves the world-changing power of self-belief. A satisfying, well-told story of an orphan boy who escapes the clutches of his pirate abductors, proves himself courageous and finds the real treasure of family. Campbell’s novel is a delightful symphony for children, tuned with evocative prose that conjures images of the seafaring life. Arrgh! is a true treasure. An awesome book. It will make kids long for the adventurous life of piratedom. I also enjoyed the illustrations, maps, and glossary of seafaring terms. The fighting is light, making it a really good MG book. An entertaining story that can be enjoyed by older teens and adults alike. Heroes to love, villains to hate, and lovable guides…Inspiring, fun. Delightful, adventurous and sometimes heart pumping. I could not put it down! An exciting rush filled with new twists and turns page after page. I have found that there are rarely any good YA mystery novels, and Hush was a fresh breath of air. Unlike so many books for young readers, the characters in this book were perfectly sculpted to be realistic, people you could actually run into and their tales could hold truth. Exciting, creepy and a love story to boot! If you are after a mesmerizing plot that will easily engage you and sweep you into this mysterious world at Lakeview Academy, look no further as Stacey R. Campbell has exactly what you have been looking for as your next read! Author Stacey R. Campbell has meticulously crafted characters who come to life on the page so well that you feel you know them. Silence is glamorous fun, and at the same time, it is down to earth about skeletons in family closets and how families choose to deal with them. This is one of those sequels you can read without reading the novel that it follows (Hush); although it will make you want to go back and read the full story of how the adopted Blakely Henry came to find out she is the only surviving blood relative of an assassinated monarchy of a country that now needs her help.